Alright. This is a great piece of work. 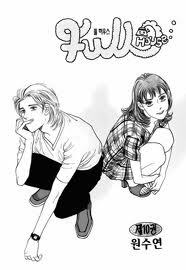 This manhwa had such a different feel, different mood to it than most other manga that I've read. There's an air of sophistication in there. 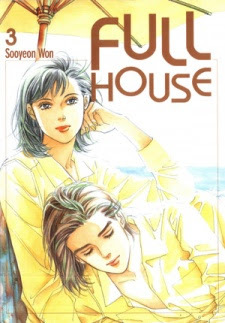 There is a sequel to the manhwa called Full house II. Also there is also a korean drama based on the manhwa though it dint quite follow the manhwa. Ellie is an aspiring screenwriter in London, far from her home in Korea. While her life is a bit lonely, her one comfort is Full House--the estate left to her by her recently deceased father and the only tangible memory of him she has left. Meanwhile, world famous actor Ryder Baye is the obsession of many a stalker and tabloid reporter. Ellie barely remembers who he is, until the day she is unceremoniously evicted. Somehow, Ryder Baye manages to purchase Full House. Ellie will stop at nothing to reclaim her home. Ryder vows to stand his ground and hold onto his new purchase. The battle for Full House is fiery, with tempers ranging and sparks flying. What are two enemies to do when there is an intense attraction burning just below the surface? Ellie and Ryder may discover that their explosive chemistry under the same roof may turn them into a happy couple...as long as they can refrain from killing each other! The story line was the main reason why I began reading this.It's a long story, and it can be rather slow at some points. I can admit that it can drag on a bit. But if you don't mind the slower stories, I suggest you pick this one up. Maybe you'll grow to love it, like I have. You can thank the artwork with it's unique, almost western style to it. I can compare it to the illustrations you'd see in a classic book publishing. 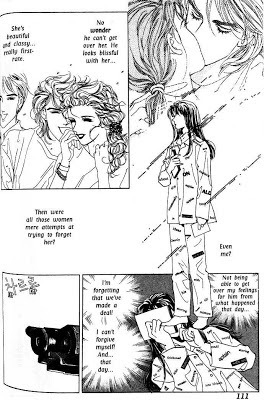 And it gets better as you go along reading the series. It certainly fits its British setting. I wasn't a big fan of the art but I still thought it was pretty good. I didn't hate it but I didn't like it either. You can also thank the character development. Particularly with Ellie, who is an unapologetic, strong, fierce woman; one who grows with you as you read on.